It was a weekend that began like any other. Late Friday night, we stocked up with some snacks and a few 12-packs: cold, bubbly, caffeinated evil incarnate, and its lesser evils, caffeine-free Sprite Zero and Diet Barq’s. Saturday morning, I took the beast for a nice long walk, came home and cracked open a delicious Diet Barq’s to wash down a snack of hummus and pita chips. A few hours later, I checked my blood sugar: 216. A WTF?-inducing number, sure, but nothing to panic about. A few hours later, my husband and I headed to the in-laws. I brought a diet root beer for the road, and checked again before dinner: 242. Okay. Like any good diabetic, I rage-bolused that sucker down, and enjoyed dinner and the rest of the evening without further circumstance. “It’s not diet! This is not diet root beer! It’s regular!” Clearly, my world had just been shattered. I had been fooled — tempted by that familiar pile of barrels, the old-school script on the can, the weird little illustrated tree climbing behind the Barq’s logo. Even after 19 years of drinking the diet stuff, I was duped by a single 12-pack. I could blame myself, I could blame my husband, I could even blame the late hour of our grocery shopping excursion. But I think I should blame the Barq’s packaging — and the fact that Diet Barq’s is so damn tasty that it took me an entire day and 3 root beers to figure out that I wasn’t drinking the artificially sweetened stuff. Amazingly, I escaped unscathed. 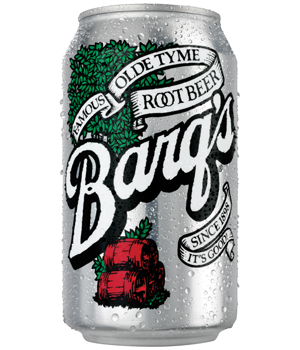 And, I learned a lesson: when you’re drinking the real stuff, Barq’s does, in fact, have bite. This entry was posted in Uncategorized and tagged diet, hyperglycemia, Type 1 diabetes. I did this once with wild cherry Pepsi. I thought for sure it was diet until I was almost done with the 20 oz. bottle. I immediately bolused for the entire thing without testing to see where I actually was. When I finally tested an hour later I was 81 mg/dL and ended up having a low! Maybe I really needed the regular. 2) hilarity: your husband’s response (which I picture as kind of a blinking “Ummm…I know there’s a right answer here, but you’re being crazy” – a look I get often from my own husband) and the “Barq’s does, in fact, have bite” gave me quite a fit of giggles. Only in a T1 household could those things have happened…. My poor husband felt awful, since he was the one who actually bought the stuff. That packaging is not different enough from the regular stuff, though! What I want to know is how did an entire regular root beer only get you up to 250ish?! Now that’s amazing… I think I would have been swimming in the 400s! That is really scary, though, and I agree, that scrolling text can be very confusing!! All I can guess is that my morning walk kept it down. Thank heavens. I love the freak outs over “kind of” important stuff. Since we have been in NZ, I haven’t found diet rootbeer. Someone told me there was a specialty shop somewhere…can you imagine having to go to a specialty shop for diet rootbeer? I am always freaking out about whether or not my soda is diet! If I’m at a restaurant and I can’t tell I have my husband taste it for me…diet root beer is the closest I’ve ever tasted to the real thing!! Yum! I’m glad you figured it out though!! I’m the same way at restaurants. And once that seed of doubt is planted, it’s real hard for me to drink happily. Dude(tte), I can totally see how this can happen. Diet Barq’s is good stuff!